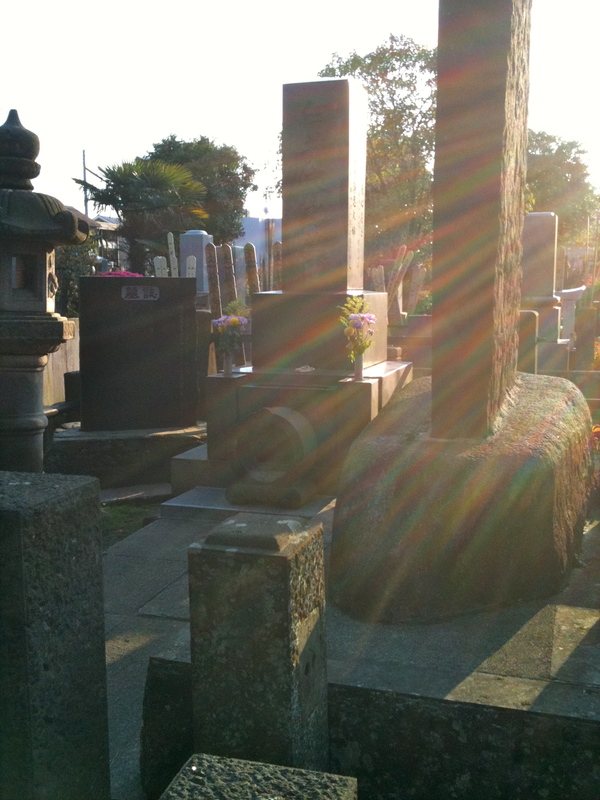 Recently I paid a visit to Dr. Mikao Usui’s gravesite in Tokyo, located in Shin-Koenji. Being here reconnected me to the beginnings of my Reiki practice which began back in 1996. My journey with Reiki has deepened profoundly over the years, unifying the many varied and seemingly ‘separate’ components of my life (and there are many). It was the alchemical agent that bound my practice with my every day life. And whenever the world felt like it was spinning fast and furiously, Reiki brought me to the very center where everything was perfectly still. It helped me to know truly what it means to be of service, to have intention in thought, speech and activity, and ultimately how to be empty amidst it all. I am so grateful that Reiki is a part of my life. It’s wisdom is so simple, yet profound. I pay my respects and offer my gratitude that I am able to receive this beautiful gift as well as share it with all whom I encounter. I ask to continue to be a clear channel of love for the universe, for the highest good of all sentient beings. I open, I receive, I surrender. 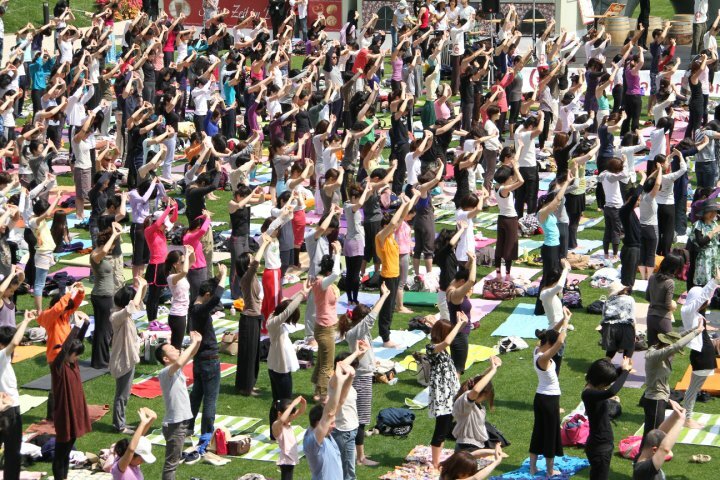 For a few weeks in April/May, the manicured lawn of posh Tokyo Midtown is the home of Park Yoga, which offers free outdoor yoga to the Tokyo community. And on this special occasion, a conglomerate of local yoga instructors plus visiting teachers led a 700+ person yoga session which not only was quite a sight to see, but quite amazing in which to participate. Organized by a couple from Australia, Yoga Aid brings awareness to and supports charitable non-profit organizations all over the world. It stimulated me to look at the possibility of doing non-profit work myself here in Japan, plus it was a fun way to dive into the local yoga community and reacquaint myself with fellow yoga teachers. As a new Japan resident, I look forward to all of the rich experiences that await as I stand at the vastly expanded horizon of my life, saluting the rising sun and all it brings forth.